"WHAT would you like to eat for your birthday?" began to sound like a broken record after a while. Every time that question was posed to me by friends and family, it was the same answer without hesitation, "crabs of course!" While I didn't subject poor Splashie Boy to that crustacean threat, we did get to dine at Cilantro over some beautiful fresh French produce including a melt-in-the-mouth lamb and fresh white asparagus. He forbade me to snap any pictures so evidence of that beautifully cooked meal by maestro chef Takashi is instead etched in my memory bank. I'm pretty lucky to have friends who indulged me in my crazy cholestrol-rich request and I admit I had a wonderful time feasting on crustaceans in all different forms these past few weeks. Best of all I reckon has been the company I've been keeping as good friends + food = wonderful memories. Expect more crabby posts coming but I thought I'll work backwards with the last crab dinner we had.... at the famous Siu Siu Restaurant. Getting here seems pretty easy - plow down the traffic-ridden Federal Highway, make a few turns away from civilized land and you'll end up at this place that is at the side of a secondary forest. Visiting here late in the dark can be kinda scary as the mists gather around and it suddenly dawns on me that just beyond that crest of the hill is the infamous graveyard filled with possible ghostly apparitions. I've often wondered what would I do if I was faced with such spiritual intervention. Would I be sensible and ask for the winning numbers or just freak out? Luckily I didn't need to answer such questions that night as the only question was, how many crabs could we polish off that night? Salted egg yolk crabs (RM45) - the salted egg yolk mixture is a little moist that drops off from the shells waiting to be eaten indulgently. It crumbs well and hugs each piece of the crab that requires you to do some serious licking. Voted the most lick worthy and scoop up those sinful salted egg yolk sauce to eat with your rice. 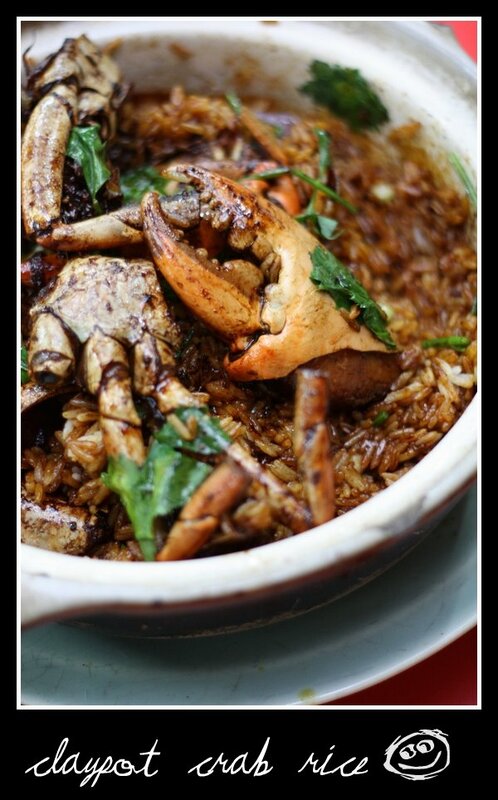 Claypot crab rice (RM55) - Charred crab pieces with a hint of kam heong sauce top rice cooked in a claypot. It's got a smoky flavour and the best bits are the crusty grains at the bottom of the claypot. Exercise some elbow grease to dig out the crunchy grains. 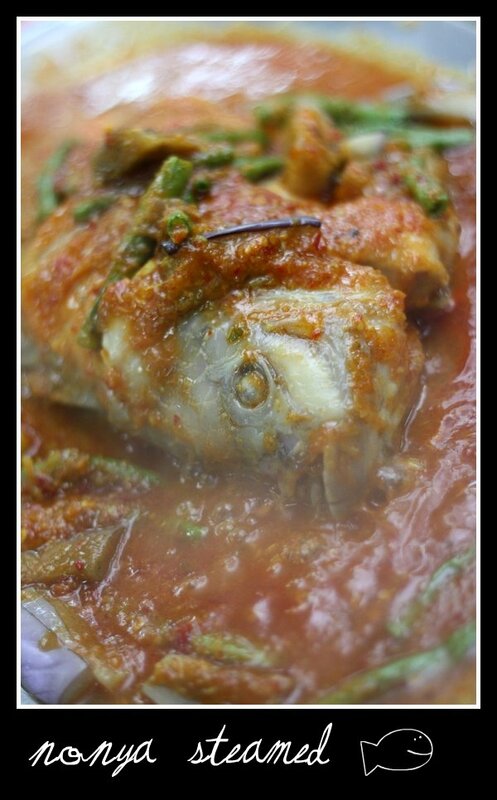 Nonya steamed fish (RM39) - The key to this dish is the aromatic sauce with hints of ginger flower. I especially loved the vegetables (aubergine and long beans) that accompanied the smooth steamed fish. Best eaten with lots of white rice. 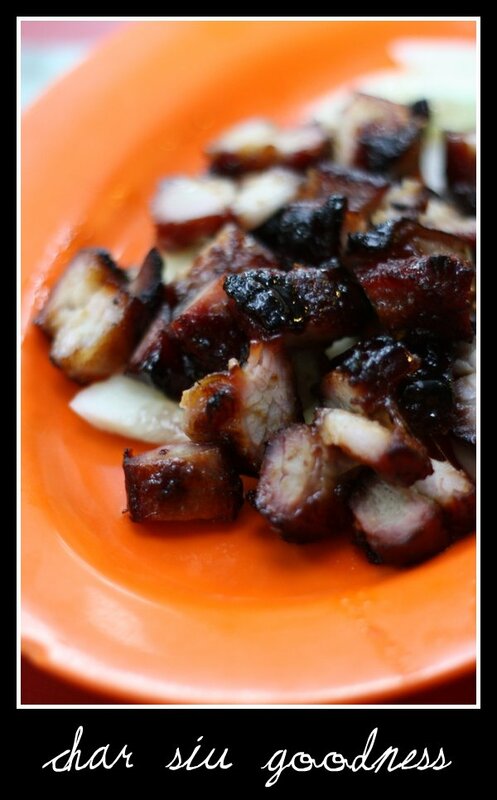 Char siu (RM20) - Sticky, black coated melt-in-the-mouth porky goodness. Definitely one of the better roasts in town. Beancurd with minced meat (RM12) - Homestyle comfort food whereby smooth wobbly bean curd meets comforting minced meat with crunchy long beans. Stir-fried sweet potato leaves with belachan (RM15) - Fibre at its best with soft sweet leaves and slightly fibrous stems all given a boost of taste from the sambal belachan it was fried in. It was great fun that night, as we chow down to good food and started planning the next eat trip already. 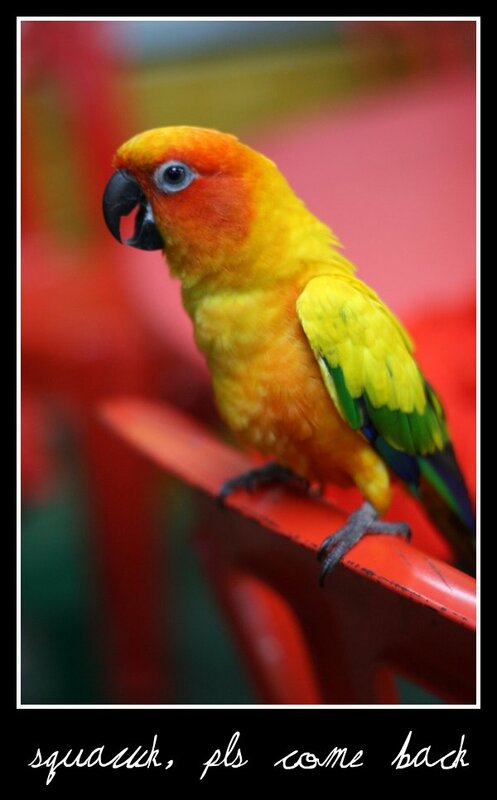 We also made a new friend that night, a colourful character that was the owner's pet bird. It's a big sweetie who can even kiss on demand. Too bad it didn't look like Ryan Reynolds or else, that'll make my day *wink*. 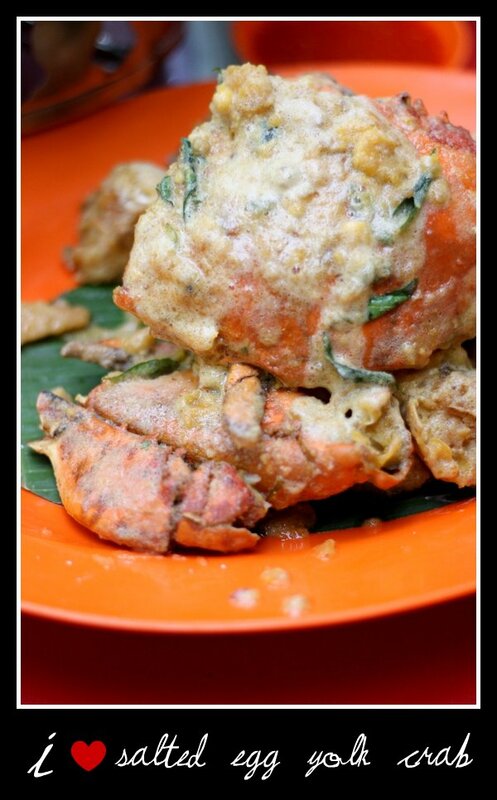 i love salted egg yolk crabs too! Seoul Walker - u're coming to KL? Have fun. Life for Beginners - I think u brought Joan here hence she suggested we dine here. Maybe the bird only emerges on special occasions. Michelle - these ones seemed very toothsome since the sauce is a bit gloopy that it sticks to the shell. ahdar307 - hee hee, claypot crab rice is pretty unusual. Expensive, and cut throat, especially if you bring ang mo..